A room full of synthesizers for you to check out. People who are interested in synths to talk synths. Free Admission - thanks to the EPD Department of the Berklee College of Music! Join us in a special conversation with noted author and journalist Michaelangelo Matos. April 28 sees the release of his new 400-page book The Underground is Massive: How Electronic Dance Music Conquered America. -JOHN DARNIELLE, the Mountain Goats; author of Wolf in White Van. Joining the ranks of Please Kill Me and Can’t Stop Won’t Stop comes this definitive chronicle of one of the hottest trends in popular culture—electronic dance music—from the noted authority covering the scene. It is the sound of the millennial generation, the music “defining youth culture of the 2010s” (Rolling Stone). Rooted in American techno/house and ’90s rave culture, electronic dance music has evolved into the biggest moneymaker on the concert circuit. Music journalist Michaelangelo Matos has been covering this beat since its genesis, and in The Underground Is Massive, charts for the first time the birth and rise of this last great outlaw musical subculture. Drawing on a vast array of resources, including hundreds of interviews and a library of rare artifacts, from rave fanzines to online mailing-list archives, Matos reveals how EDM blossomed in tandem with the nascent Internet—message boards and chat lines connected partiers from town to town. In turn, these ravers, many early technology adopters, helped spearhead the information revolution. As tech was the tool, Ecstasy—(Molly, as it’s know today) an empathic drug that heightens sensory pleasure—was the narcotic fueling this alternative movement. Full of unique insights, lively details, entertaining stories, dozens of photos, and unforgettable misfits and stars—from early break-in parties to Skrillex and Daft Punk—The Underground Is Massive captures this fascinating trend in American pop culture history, a grassroots movement that would help define the future of music and the modern tech world we live in. 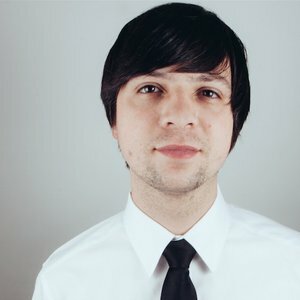 Michaelangelo Matos writes regularly for Rolling Stone, Red Bull Music Academy Magazine, and NPR. The author of an acclaimed volume (about Prince's Sign "O" the Times) in Bloomsbury's 33 1/3 series, he lives in Brooklyn. Together Music Festival guys are BUYING US HEINEKENS + SPINNING US BEATS all evening long Monday. DJs Joe Grafton and Czargb (Aurelio Ramos) on the decks. Its that time of year when we get to hear and see all the great work that the MassArt Beat Research class has been cooking up - Killer tracks, videos and live performances in all kinds of wild styles! 18+ w/ MassArt id & No cover. UK producer East India Youth has been all the rage back home these days after the release of his XL Recordings debut Culture of Volume, and we're thrilled to bring him across the for Together. Opening the show is Boston's own W00dy, another producer well-versed in all things experimental. The intimate settings at Great Scott should prove to be an excellent showcase for these two talents. W00DY is a Boston-based producer/live electronic performer who blurs the lines between pop, noise, and dance music using hardware and software integration. She will be releasing her first full-length album, RNBW, in June 2015. Join us at Wonder Bar as we welcome UK bass aficionado Kahn to the Together stage! Pre sales $10 / $15 at the door. Join us at the Middle East Downstairs as we present Sango, Stwo, Black EL, Durkin, and Yvng Pavl! Let’s Wait is an electro-pop four-piece from Boston. Taking in influences from a variety of genres and styles, the group has found early adopters in local blogs like Vanyaland whom have lauded the group for its highly malleable sound. Miss Geo is an electro-pop duo from Boston. Their minimal guitar/vocals/synth setup makes for an otherwise full sound that’s drawn plenty of positive reviews from the local press. They released their debut EP Shapes in early April of this year. Re:Set and Together is proud to welcome a vertiable titan of modern techno sounds from Los Angeles, California: John Tejada. John Tejada (born 21 April 1974 in Vienna, Austria), is an electronic music artist, music producer, DJ, and record label owner. His Austrian father was an orchestra composer/conductor who met his mother, a soprano singer of Mexican-American descent, while she was studying in Vienna. He has recorded under diverse monikers for various labels. Names he has recorded under include Mr. Hazeltine, Lucid Dream, and Autodidact. He also provided a remix to "Such Great Heights", from The Postal Service. JSTJR is a New England producer and musician, signed to Mad Decent and recently featured on BBC Radio 1. His instinctive musical mind processes and produces rhythms based on a varied number of influences. Baile Funk, Moombahton and the rest... How do they mingle in the mix? What is "dance music" in the international space? Join him and some of his friends in this free tutorial about distilling beats. Local technologist Aurelio has build a interactive LED ring that does amazing things. Want to take a hack at it? Want to learn more about it and the various ways its technology can be adapted and put to other uses? Join him and his squad at Danger!Awesome's co-working and makerspace on Thursday from 5-7pm in the free meet-up! Access is limited so please RSVP here. Ever wanted to make live video? Want to create real time works of art? Want to add video to your band or DJ set to up your game? Resolume might be for you! Jon Bonk and his team will be teaching an introductory class on this powerful live video tool. Learn how to input videos, master effects, and projection map video onto anything you desire. Boston's JSTJR is somewhat of a hometown hero. Having worked with big time labels like Mad Decent and Fools Gold, the man's music has reached audiences far beyond his native city. Of course, the Diplo connection makes perfect sense considering JSTJR's habit of leaning heavily on tropical influences in his tracks and mixes. His set on home turf here at Together is sure to be a highlight. Thursday at The Middle East is going to be funky as hell. Soul Clap and fellow Crew Love label friend Tanner Ross will provide the soulful, funky-smooth tunes while Life on Planets bring the deep house. Life on Planets began in Baltimore and debuted their first full-length live show at the Wolf + Lamb Marcy Hotel, a starting ground for other great deep house artists such as Nicolas Jaar – and also a favorite of Soul Clap. Their mixes are big on the vocals, and provide a deep and sultry introduction to the sound of funk. Expect to dance but also be completely entranced by the deep house electronic hypnosis their music will provide. Judging by recent mixes Life on Planets have been dishing out, they’re big on the smooth transitions and constant slow jams. Life on Planets are two drastically different personalities clashing into an explosion of creativity, their music draws on the duo’s individual tastes and becomes a combination of all the influences they have between the two of them. There’s no hesitation when it comes to trying out newer genres, even sampling the seductively smooth sounds of Rhye in one of their recent deep house mixes. Tanner Ross honed his talent at Boston’s own Berklee College of Music, and because of this he has a very technical approach to his music. He is as excellent a producer and sound engineer as he is DJ. Having Charlie from Soul Clap as a roommate for a little while definitely had an effect on his sound; while he’s always been a big fan of hip-hop and R&B the Crew Love inductee put him on the path to funk. Tanner Ross is a big name in Boston; and to have him on the same bill as Soul Clap is akin to watching a family reunion. His music is a little more heavy on his personal hip-hop influences so the line-up is a guaranteed perfect mish-mash of funk, soul, and R&B. I couldn’t think of three artists who go better together. Soul Clap are a big Boston name. Eli from Soul Clap recently found some vinyls in his basement and spun them at The Middlesex and the line went around the block outside (I know – I was waiting in it). Charlie and Eli, aka Elyte and Cynce, play the grooviest sets you’ll hear all week – and a recent collaboration with soul and funk grandmaster George Clinton only proves their worth. Debuting the track “In Da Kar” at the Marcy Hotel they set the tone for the four-track EP we’re all waiting for – and judging by their instagram an even better music video is in the works to go along with it. Expect a high-energy show, and one that has each artists meld perfectly into the next DJ’s set. By the end of the night you’re going to want to dig out your flared jeans from ten years ago and dig through some old funk vinyls. DJ Kon joins the bill as well, his name is an acronym for “King of Nothing” and that reflects his attitude towards his music. He doesn’t have any hubris when it comes to his productions – Kon has been in the game since the mid-80’s and his knowledge and vast record collection are his greatest strengths. His forays into disco and soul are truly magnificent and his set will blend flawlessly into the other DJ’s on the setlist for this evening. His love for vinyl is reflected through his participation in the NYC collective “I Love Vinyl” which put on vinyl-only parties all across the city. Soul Clap, Tanner Ross, DJ Kon and Life on Planets play Thursday May 14th at the Middle East Downstairs. To get into all the shows purchase a Together Boston pass today!” To see this show buy tickets here! Join Together and Mmmmaven as we Make It New with UK superproducer Scuba. Hot off the release of his new critically acclaimed record Claustrophobia, the man is set to take the Middlesex Lounge by storm. The show will also feature opening sets from our residents Baltimoroder and Coracola. There is a TON of fantastic music for the Together Boston and Elements is proud to be a part. We've got a great lineup of 7 DJs for one our most popular recurring nights: The Elements Throwdown! Join us in an exploration of outer disco, from rare African sounds to Tropical classics with two premiere local selectors, intellectors and collectors. Resident Advisor will take over The Middle East in May for their first Boston area event! Irish-born but Berlin-bred Niall Mannon is an ever-rising star of European club culture. Famously known for his melodic and propulsive music, he’s written an LP on top of work with Totally Enormous Extinct Dinosaurs, Tensnake, and Roisin Murphy. One of Boston’s biggest nightclubs plays host to one of the world’s biggest DJs on Friday 15th May. Alongside East Coast native Tamer Malki, DJ Sasha headlines the Together Festival this year and we are honored to have him. Catch them both at Bijou during the festival and experience two experienced DJs doing what they do best – blowing the minds of anyone in the crowd. DJ Sasha has been a global institution for almost two decades, it’s almost impossible to just write a short blurb about him considering the amount he has contributed to the music industry and how he has changed the face of electronic music in general. Sasha is one of the originals, playing illegal warehouse raves and clawing his way into the public eye through whatever means there were – his trance/techno hybrids inspired a whole new generation of DJs. Acid house is what it is because of the guy, and even now he is still changing his sound and playing around with new aesthetics. Known as well for his partnership with fellow DJ Digweed, perhaps their most well known collaboration was the “Northern Exposure” sets – an exploration of the concept album through the gaze of electronic music. Tamer Malki knows Boston as well as the rest of us. A BU graduate turned DJ, Malki gave up the textbooks to focus on studying the art of music. He has influences as far reaching as Pink Floyd; “Steel Breeze” uses the guitar riff from “Shine on You Crazy Diamond” – and it’s not just classic rock he manages to imbue into his music. With a basis in house techno, he utilizes groovy funk and jazz to keep his music unique and interesting. If anyone can play a bill alongside Sasha this guy can do it; Tiesto himself featured Tamer Malki’s cuts on his radio show Club Life during the 2010 Miami Winter Music Conference. These guys playing together is going to be a night of hypnotic dance music. Thanks to Bijou’s sound system in particular I’m imagining the crowd sort of entranced by the epic nature of Sasha’s music. Spanning over fifteen years of musical evolution, the genres don’t even matter between these two DJs – they can flawlessly flit between house, techno, trance, their sets flow too evenly to get caught up in analyzing the stylistic changes. A dream come true thanks to Bijou Boston. Sasha at Together. TOGETHER FESTIVAL 2015: DUSK TILL DONE PRESENTS DJ THREE WITH PATRICK BARRY AND BATWINGS! Lexington, Kentucky-based artist Ellie Herring has been on a steady rise in the past year. April marked her third release, Chipped EP (Racecar), a smooth, spaced-out 4-song EP featuring cut up samples buried in drony beats. Since then she's released a series of singles featuring on Gorilla vs Bear, Fact, The 405, and inclusion on the first Secret Songs compilation; as well as issuing a mix for SSENSE and landing in NME's November 2014 issue. With remixes for Shy Girls, Oceaán, and Doss. She is currently working on her next full-length, set for 2015. In this artist session, Ellie will talk about her creative process, show some of her unique sampling techniques, and play some new music. Working on a cool custom instrument? Cooking up nifty music discovery app? Share it at the TogetherBoston festival on Saturday, May 16th! TogetherBoston (http://togetherboston.com/) will be hosting a mini-expo for Boston-area music tech projects, at Danger! Awesome in Central Square. It's a great way to get feedback, find collaborators, and jam about ideas for music with folks. TogetherBoston will provide power outlets and space for a laptop or poster. You provide the rest. Midi Guitar Galaxies with Ben Levin: Exploring new sonic and visual worlds with Fishman’s TriplePlay Wireless MIDI guitar controller. Want to create new and unexpected sounds using your guitar? Boston musician and MIDI guitar expert Ben Levin will demonstrate how to use your electric or acoustic guitar as a MIDI controller using the Fishman TriplePlay with Ableton Live: How to become a “One Man Band” by looping sounds, auto-harmonize your voice with guitar chords, and map MIDI sounds and effects to your guitar’s fretboard. And, learn how to control lights and visuals with your guitar and join Ben on stage to try it out for yourself! Explore composition, sound design, production techniques and performance utilizing Ableton Live, Max for Live and Push. Featuring tips, tricks and unique approaches for music-making with Ableton Certified trainer Ben Casey. Whether you are just getting started or you’re a seasoned producer, there will be something to help take your music to the next level! A night of house music, 30 events in, pays tribute to one of the most iconic names in New England nightlife: Pete Moss. What do Justin Martin, Ardalan, and Randy Deshaies have in common? They’re all what you would call “party animals” and they’re going to light up the Middle East downstairs Saturday 16th May! Boston's most acclaimed hip-hop dance crew performs LIVE. + Photo Booth by Rodrigo Larios & Lights & Effects by Hadley Inc.
Official Afterparty for Dezyre's Ball. ***There is no dress code, but WHITE attire is recommended in honor of the birthday boy. If you don't own a white outfit, come as you are. Dress code is not enforced. On Sunday, May 17th Together Boston is celebrating the synthesizer era by holding a "petting zoo" inside the Mmmmaven Project labs at 614 Massachusetts Ave in Central Square from 12pm until 4pm we will be displaying as wide array of synthesizers as possible. We welcome music lovers of all ages to stop by and try out the gear. An AX Synth and more! On Sunday, May 17th, from 1pm-4m Together Boston & the Central Square, Business Association (CSBA) will host our first "Central Square STEAM Family Disco" downstairs in partnership with The Middle East. As part of the Cambridge educational initiative, there will be STEAM (Science, Technology, Engineering, Art, Math) activities in addition to dancing. This will be a unique experience for families to dance their heart's out to local DJ's (we expect to have a few teen DJs) playing family friendly mixes -- in a space with a "STEAM Disco" theme. STEAM opportunities offer a unique exchange of ideas, models and explorations between the aesthetic and technical worlds and can produce high quality, engaging learning experiences for people of all ages that broaden their horizons and help them to build their efficacy learners. STEAM experiences open pathways for young people to participate in meaningful learning experiences that adds to the quality of lives and communities and may spark a career choices in these fields. THE OFFICIAL TOGETHER FESTIVAL CLOSING PARTY @ H.O.M.E. 'The Wizard' Brian Coxx, creator and resident DJ of New York City's staple underground dance party, Soulgasm NYC has taken the music world by storm. Music enthusiasts, party people and dancers from as far as Japan, Switzerland and Spain come to hear 'The Wizard' who still believes in the art of DJing. Growing up on and dance culture, recording the late night mix shows from DJs such as Red Alert, Chuck Chill Out and Tony Humphries, Coxx has always been immersed in music. Fusing Rock, Funk, Soul and House to motivate party people from all walks of life. Coxx's diverse musical background is what sets him apart from the new jack DJs that have flooded the New York market as of late. Currently, his mixes lean towards The Deep Underground House sound, but his many different influences show up throughout, keeping it authentic to his roots. Coxx has been known to drop the needle on anything from the psychedelic rock of Jimi Hendrix to the dubbed out sounds of Lee Perry, while always working people's minds as well as their bodies. 'The Wizards' diverse and heart pounding sets have led him to play alongside legends such as Louie Vega, Danny Krivit, and Jellybean Benitez. He was also chosen to rock world renowned Club Shelter's main room by DJ Timmy Regisford. It's no wonder that making music would be the next part of the journey. Brian's first release, "Soulgasm Sessions - Vol. 1" under The 'Strictly Rhythm' Label was a huge success which led to him doing remixes on international labels such as Vega, Nervous Records,Seamless and Defected. The music and club world were so impressed by his next hit single, 'Gone' featuring Yasmeen on Strictly Rhythm that it allowed him to start his own label, “Soulgasm Music” showcasing talented artist such as Djeff Afrozilla and Sandy Spady. DJ BRIAN COXX always stays true to his roots and keeps the party people movin, groovin and anticipating what will be played next. Remember how it used to be? IT STILL IS. THE OFFICIAL TOGETHER BOSTON CLOSING PARTY @ H.O.M.E. BROTHER / PHOTOGRAPHER / DJ / EDITOR / PRODUCER House music ALL night long.